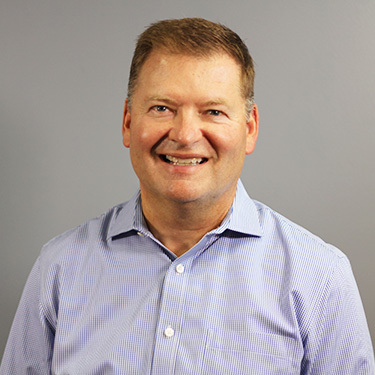 Hello, my name is Dr. Mark Stuckey and I am pleased to have been serving the O’Fallon area with excellent chiropractic care for over 30 years at Stuckey Chiropractic. I graduated in 1984 with a Bachelor of Science in Human Biology, and in 1986 with a Doctorate of Chiropractic from Logan College of Chiropractic. In all my years of experience, the most rewarding part of being a chiropractor has been CHANGING LIVES. I am excited to get to the office every day and help people reach their health goals. It thrills me every time a patient tells me how much better they are feeling and the activities that they are now able to do. I love seeing patients accomplish their goals for themselves as well as my goal for each individual – which is to not just make their symptoms go away, but to educate and enhance their quality of life. My patients will attest to the fact that my values of competency and caring set me apart a leader in the Chiropractic field. My Christian beliefs combined with my love of the Chiropractic profession have molded in me a love for ALL PEOPLE and have compelled me to become highly skilled as a Doctor of Chiropractic. My diagnostic ability and my treatment techniques are continually refined and improved, but I know that all the knowledge in the world would mean nothing without care and compassion for those who need help. I love people and strive each day to do all I can for them. Make an appointment today to meet Dr. Stuckey and start on the path to a healthier life.